In Rimini the indoor market San Francesco is open Monday to Saturday from 7 am to 7.45 pm continuously without any closing weeek day. It is managed by the consortium of the operators of the indoor market. 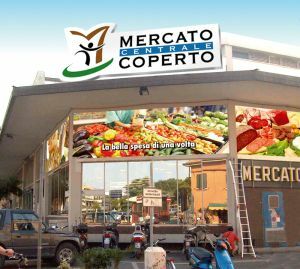 Here you’ll find the fish market with 60 stands which supplies fresh fish to the whole Rimini area, a great sale market of fruit and vegetables, butchers, bakeries, food, cheese shops, bars and a large supermarket. In the fishmarket you can still meet the real characters of Romagna. These persons, beside selling their products, will also tell you secrets about how to clean fish or tell you some local recipes. In a word if you take a trip in the morning to the indoor market in Rimini you will be able to savor the smells, the scents and the "noise" of tradition. Various initiatives are organized by the market every year – one is the Midsummer festival in July with food tastings.